FRESH KAVERI HENNA CONES. 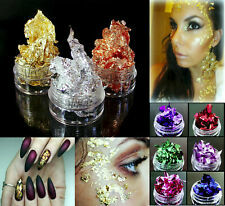 PURE ORGANIC FRESH PREMIUM QUALITY HENNA. Each Cone contains 33 gm Paste. 100% NATURAL. DARK Brown. length : 15 cm. NEW ARRIVALS. ADD US TO YOUR FAVORITES. Hochwertige und Schnelltrocknende Henna-Pasta in Tuben oder Kegeln (Cones). Henna wird in Indien seit vielen Jahrhunderten verwendet. Die Anwendung von Henna auf Händen bedeutet viel Glück und Wohlstand und das nicht nur in Indien, sondern auch International. 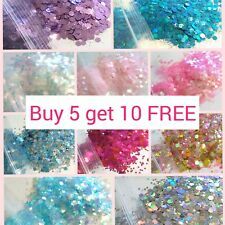 5x Golecha Glitter Cones (Gold) Glitzer Kegel für Henna-Dekoration - 125gEUR 4,99. Das Öl wird vor dem Auftragen der Hennapaste auf die gereinigte Haut einmassiert. 5x Golecha White Henna Paste Cones (Weisse Kegel Paste) No PPD, NO Ammonia, 125gEUR 4,99. Das Öl wird vor dem Auftragen der Hennapaste auf die gereinigte Haut einmassiert. 3x Golecha White Henna Paste Cones (Weisse Kegel Paste) No PPD, NO Ammonia - 75gEUR 3,50. 3x Golecha Henna Paste Tuben (ROT) No mix, No PPD, Klinisch getestet - 75gEUR 3,99. 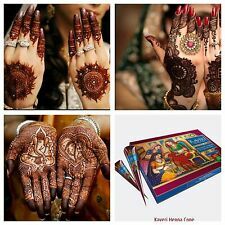 12x Golecha Farbige Henna KEGEL (6 Multi-Farben) No PPD, NO Ammonia, 200gEUR 8,99. 3x Golecha Henna KEGEL (Schwarz Weiss Rot) Klinisch getestet | 75gEUR 3,99. 6x Golecha Henna Paste Cones Kegel (Schwarz & Weiß) Natural, No Mix, No PPD 150gEUR 5,99. Popular Polynesian Maori tribal design with distintictive patterns and featuring the iconic bull. Polynesian Bull Shoulder Temporary Tattoo £3.99. Polynesian Bull Temporary Tattoo. 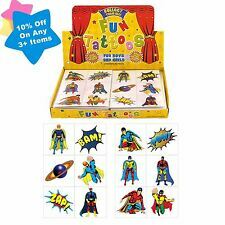 Temporary tattoos are great for parties, festivals, club nights/raves, carnivals, fancy dress or just to shock your friends without comitting to a real tattoo. Unisex, one size fits most - these should fit comfortably cause they are stretchable. High quality tattoo sleeves. Sleeves are cold water washable and best if left to air dry. Material: Nylon. Colour/Designs: Random 6 designs. DCtattoo - 25 x Tattoo Thermal Carbon Stencil Transfer Paper Tracing Kit A4. Mit Wasser die Rückseite gut befeuchten und nach ca. 30 Sekunden vorsichtig abziehen - fertig. 2 x tribal tattoo. Who does not know Hangover and the famous Mike Tyson tattoo. 2 xtatouage tribal. * 250mL 8OZ Capacity Tattoo Wash Clear White Plastic Green Soap Squeeze Bottle * This tattoo wash bottle can with stand strong acid and alkali corrosion. * Significantly reduces risk of airborne contamination that can occur in bottles. 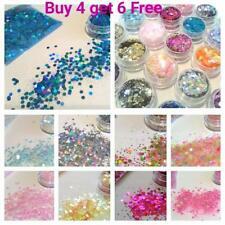 * Portable and light weight mini bottle, is very easy to carry. * Perfect for your green soap or alcohol germicidal solutions needs. * This squeeze bottle is Not a spray bottle. Brand Unbranded MPN Does not apply UPC 4894462017579 EAN Does not apply EAN Does not apply. Das Öl wird vor dem Auftragen der Hennapaste auf die gereinigte Haut einmassiert. 5x Golecha Henna Paste Kegel Cones Red (Rot-Braun) ohne P.P.D, klinisch getestetEUR 4,99. 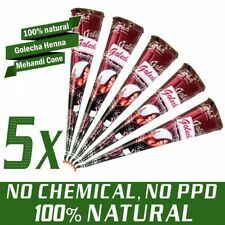 5x Golecha 100% Natural Henna Paste Cones Kegel (Rot-Braun) No Mix, No PPD, 125gEUR 7,99. GERMOLENE ANTISEPTIC CREAM. Germolene Antiseptic cream combines an antiseptic action of Phenol and Chorhexidine to help prevent infections, plus a soothing local anaesthetic effect of Phenol to numb the pain. Faux encre noir tatouage. Taille : 12 19 cm. désormais la possibilité de choisir le mode de. Inked Up have developed the ultimate range of products designed especially for people with Tattoos! Here at Inked Up we are passionate about Tattoo Artwork and we want to help you to care for and protect your Tattoos! Cut out tattoo of choice and remove clear sheet. Place tattoo face down on skin. Tattoo size: 9.5 cm x 5cm. Wet the tattoo thoroughly with a sponge. Allow the tattoo to dry. Dab tattoo with rubbing alcohol or baby oil. TATUAGGI TEMPORANEI. PER RIMUOVERE I TATUAGGI TEMPORANEI E' SUFFICIENTE STROFINARE CON UN BATUFFOLO IMBEVUTO DI ALCOOL O OLIO OPPURE UNO SCRUB. QUESTI TATUAGGI SONO ACCATTIVANTI, ATOSSICI E MOLTO FEMMINILI. How to apply Temporary Tattoo. Rub with a damp cloth ot tissue 1min. Place Tattoo on arms, neck, hands, back, leg, chest. or any part of the body. We are aiming to answer any queries within 24 hours. Herbal Natural Henna Paste Cone. A Propos De Nous. Cones superbly rolled to a fine point to ensure accuracy. 100% Natural. Nylon Tattoo sleeve - 3d skulls £3.99. Tattoo sleeve constructed with 92% nylon and 8% spandex give great stretchability making them fit any size arm or leg and blend with your natural skin colour. 3D Skulls Nylon Tattoo Sleeve. Illumination Area: 12.24 " X 9.37" / 31.1x 23.8cm. Suitable for: A4 Paper. Type: Drawing Tools. Color: White. Cable Length: 145cm. Weight: 630g. Thickness: 0.19" / 0.47 cm. Ôtez le plastique du tatouage temporaire. Enlevez le papier de tatouage, humidifiez le tatouage avec un chiffon mouillé pour ôter des restes de colle sur la peau. Posez le dessin du tatouage sur la peau. Thinking of going as JugHead Jones for Cosplay?. The Riverdale Character sports the Southside Serpents tattoo on his bicep. Southside Serpents Temporary Tattoos! Tattoo size: 19cm x 3cm. Cut out tattoo of choice and remove clear sheet. Place tattoo face down on skin. Wet the tattoo thoroughly with a sponge. Allow the tattoo to dry. Dab tattoo with rubbing alcohol or baby oil. SPMU Dry Heal Serum is a patented combination of ingredients the have been designed to aid the healing in semi permanent makeup and microblading procedures. It is suitable for all skin types. Apply a thin layer of serum over the treated area, allow the serum to penetrate the skin - do not massage in.